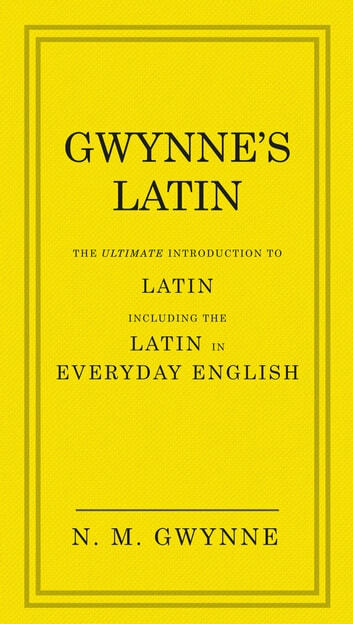 Mr Gwynne, author of the Sunday Times bestselling phenomenon Gwynne’s Grammar, is just as emphatic about the importance of Latin as he is about the importance of grammar. 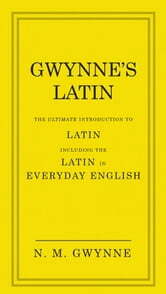 From the novice to the more well-versed, Gwynne’s Latin is essential for anyone interested in learning Latin; Mr Gwynne promises to teach you more Latin in half an hour than you would learn from years of being taught Latin at school. He also includes a fascinating section on everyday Latin usage, which discusses all the Latin words and idioms we still use today, such as ‘quid pro quo’ and ‘sui generis’. - Latin is an academic subject easy enough for the least intelligent of us to grasp all the basic elements of, and yet difficult enough to be demanding for its greatest scholars. - For well over a thousand years it was the means of communication that united the whole of Europe culturally and in every other significant way. - It is the direct ancestor of, between them, the five most widely-spoken European languages, and both of the official South American languages. - It is the ancestor and source of more than half of the English language, partly directly and partly through French, which for some centuries was England’s official language. Following in the same beautifully designed footsteps of Gwynne’s Grammar, Gwynne’s Latin will teach you all the fundamentals of Latin quickly, thoroughly and better than all the competition.